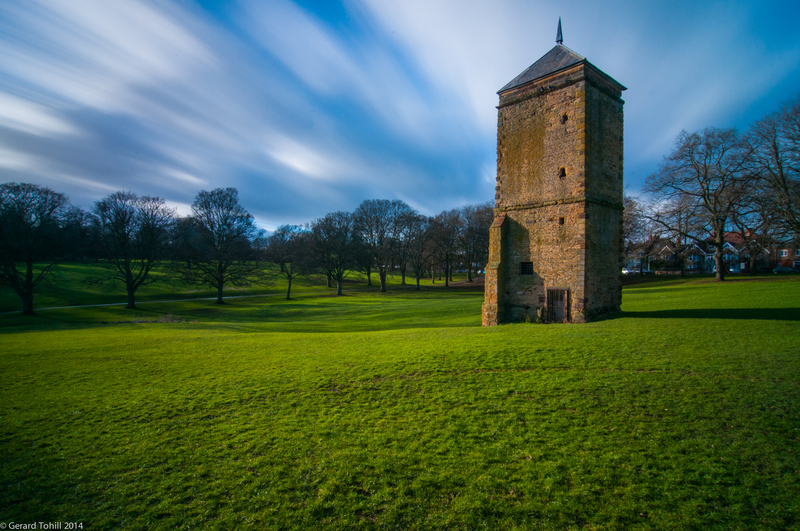 Abington Park in Northampton contains the ruins of the former village of Abington, and a few other old buildings, including this 18th century water tower. It’s not a bad place to roam around if you’re in Northampton. I can confirm that long exposure photography on a very windy day is not straightforward! Photography stuff: 12-24mm lens at 12mm, 54 seconds at f/9.0, tripod, 10 stop ND filter. 54 seconds! The resulting photo is wonderful! I like the long exposure effect! Good effect isn’t it? It also means you can get in some decent photography outside of the ‘golden hours’. Gorgeous effect with the sky! You’ve inspired me to try my hand at daytime long exposure! Thank you. Give it a go – you can get all sorts of interesting effects – let me know how you get on.